simple customizing tools for free. 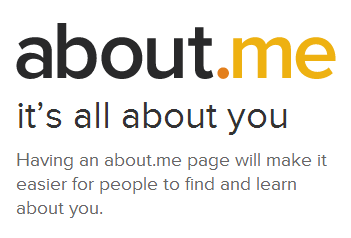 Apart from the bio you can also add all your social media links and a bio pic with your customized background for the page. 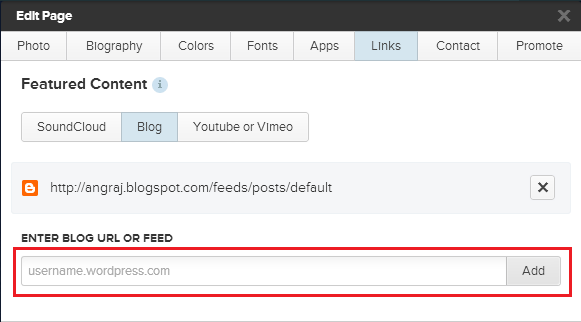 In this post we’ll see how to add blog updates to about.me page which could also help your profiles viewer to see your blog posts. Inside Links tab you can see Featured Content, here you can showcase your music, writing or video in your bio box but you can add only one. To add blog feeds click on the Blog tab and enter your blog url or full feed of your blog as I entered “http://angraj.blogspot.com/feeds/posts/default” for my Blogger blog. 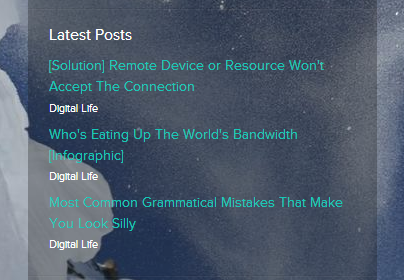 Now you could see your latest three post of your blog will automatically showing on your about.me page. Shows your blogging activities etc.